When you're backstage at a big fashion show, it's not uncommon to see a few dozen makeup kits overloaded with a couple hundred products in an array of colors, textures, and finishes, and it's for good reason: Foundations, eyeshadow palettes, blushes, mascaras, and even brow products aren't often created to be one-shade-fits-all. Surprisingly, Maybelline's newest lipstick, which retails for $8, checks all the boxes. The brand's New York Color Sensational Made For All, a line of seven new lipsticks, is touted as a universally flattering lipstick — which could have easily veered into gimmick territory if there was nothing actually new about it — but backstage at Cushie's Spring/Summer 2019 show on Friday Sept. 7, lead makeup artist Grace Lee made me a believer. The diverse lineup of 37 models wore a single red shade called Red For Me — a sheer red with blue undertones — and it was perfectly fitting, as the models channeled the red lipstick queen. "The inspiration is Sade," Lee, Maybelline New York lead makeup artist, tells The Zoe Report backstage. 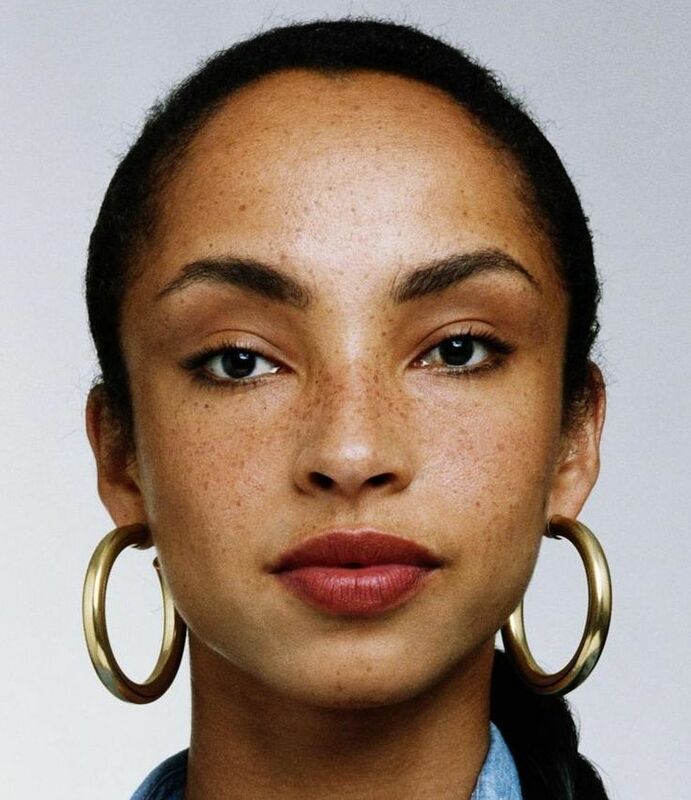 "That iconic image of her with the long braid and the red lip... but think Sade on a Caribbean island somewhere." The lipstick's sheer finish gave the models a fresh, insouciant vibe. To complement the lips, Lee gave the models tawny orange eyelids with smudgy brown eyeliner and glossy, healthy-looking skin. And instead of applying the lipstick directly from the bullet, Lee put it on with a brush and patted it down with her finger, giving the effect of "fresh, without [using] a lot of product," she says. Trying out a brand new product right before a show starts is probably a big risk, especially if you err on the side of caution. Thankfully, Maybelline already took out the guesswork: Each new shade was tested on 50 different skin tones to ensure that it flattered everyone. Cushnie proved to be a pretty fitting test run, too: Alanna Arrington, Winnie Harlow, Ajak Deng, Candice Huffine, and Maria Borges were among the very major lineup — all of whom have very different complexions. “It’s all about the right mixture of pigment," Jon Saenz, VP of global Maybelline Marketing, Lip, told Elle, who added that the most universally flattering reds balance yellow and blue undertones. And the brand's had a few practice runs: Both its Color Sensational Lipstick line and its Color Sensational Creamy Mattes line come in 20 shades each; by paring this collection down to seven, Maybelline's found a spot of innovation in ease: No testing or swiping for hours on end. If you want to be your own judge, you'll have to wait patiently: The entire Made For All Family (which includes six other shades: Spice For Me, Mauve For Me, Pink For Me, Fuchsia For Me, Red For Me, Ruby For Me, and Plum For Me) will be available online and at mass market retailers beginning in January 2019. In the meantime, shop the products that are available now to recreate the look this weekend. Lee tells TZR that she applied the foundation with her hands, and smoothed it out with a beauty blender. "I think it depends on the texture of the skin, and the texture of the foundation," she says. This one little tube has so many uses. Lee applied it on the lips for a smooth base, and also utilized it as a highlighter and eye gloss.